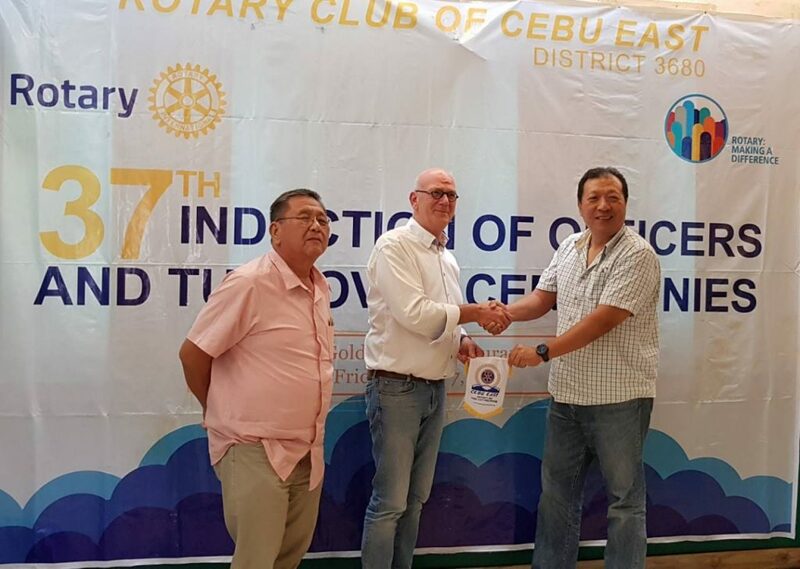 The Rotary Club of Cebu East would like to thank our dear friend, Mr. Henny Jobse, for all of his kindness and generosity towards our Club and the people of Cebu. Henny passed away this year, and, through his great altruism, thought of our Club and those in need even during his illness. He has left RC Cebu East the generous sum of P74,000 for us to devote to charitable endeavors in Cebu. The gift was presented to RC Cebu East by Henny’s longtime friend, Mr. Joep Meeuwissen. We take this opportunity to thank Mr. Meeuwissen as well as Henny’s family, to whom we express our sincere condolences as well as our appreciation. We had the pleasure of meeting Henny in 2004 during his visit to the city, and he has remained a great friend to us ever since. Through his generosity, Henny has helped the Club with our education projects, and he was also a donor during the rebuilding efforts following the destructive Typhoon Haiyan in 2013. Showing his good heart, altruism, and kindness even at such a difficult time in his life, Henny continued to promote the endeavors and mission of our Club. Henny was truly a man who lived for others and who embodied the motto of Rotary: “Service Above Self”. We shall be using Henny’s contribution towards upcoming projects in December, at which time we will post details of the projects and have the opportunity to thank Henny and his family again! « Nutrition Mission in Guadalajara!